Da Capo Press, 9780306823701, 328pp. Gil Capps is an Emmy Award-winning associate producer on NBC Sports golf telecasts and managing editor at Golf Channel. He's worked on-site at nearly 500 tournaments around the world and has led the creation of Golf Channel's Editorial Research Unit, which he oversees. A native of North Carolina, Capps resides with his family in Winter Park, Florida. 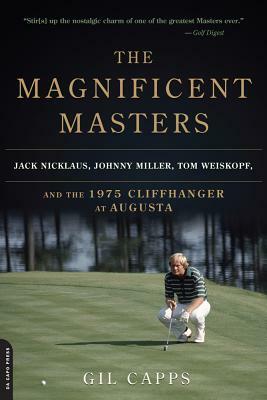 The argument can be made that golf has never had a more extraordinary day than Sunday at the 1975 Masters.